Daman Diu SSB Forest Guard Admit Card 2018 will be published by the Daman Diu Staff Selection Board. The aspirants who will fill the application process before the last date will only eligible to download the admit card or hall ticket. The Daman Diu Staff Selection Board will conduct the written exam for the Forest Guard/ Forest Sepoy, Village Panchayat Secretary, Gram Sevak, Senior Inspector/ Auditor, Special Auditor/ Cooperative Officer, Grader/ Assessor, Field Surveyor positions. For downloading the Daman Diu SSB Forest Guard Hall Ticket 2018 applicants needs the login details like registration number and date of birth. 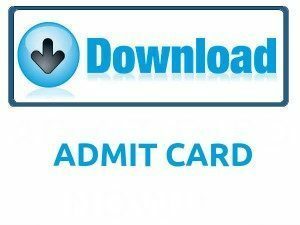 We have given the download link of admit card below in this page. The more information of the Daman Diu SSB Forest Guard Admit Card 2018 has specified below. The Daman Diu SSB Forest Guard Admit Card 2018 will be available in this article to download. The Daman Diu Staff Selection Board has recently released the recruitment notification for the Forest Guard/ Forest Sepoy, Village Panchayat Secretary, Gram Sevak, and other vacancies. For this Daman Diu SSB Forest Guard Recruitment 2018, the application process for Special Auditor and Cooperative Officer, Senior Inspector/Auditor posts the application process will start on 28th May 2018 and the last date is on 27th June 2018. For the Field Surveyor, Gram Sevak/ Village Panchayat Secretary vacancies will begin on 31st May 2018 and the ending date is on 30th June 2018. For the Grader/Assessor, Forest Guard/ Forset Sepoy positions the registration process will start on 4th June 2018 and the final date of the registration process is on 3rd July 2018. The board didn’t announce the dates of exam and release date of Daman Diu SSB Forest Guard Admit Card 2018. After the application process, the dates will be released by the authorities. We will update the official dates through our website frequently. Refer the organization website for more details about the Daman Diu SSB examination process. Daman Diu SSB Forest Guard Admit Card 2018 will be issued before 10 or 15 days to the examination date. The admit card or hall ticket will be available only in online mode for the applicable candidates. We suggest the applicants download the hall ticket or admit card at least 1 week prior to the exam. After finishing the download process of Daman Diu SSB VPS, Gram Sevak Hall Ticket 2018 candidates need to verify the information because sometimes admit card may have small errors in name, roll number etc. If needed any rectifications without getting late intimate to the examination board. If applicants neglect the mistakes in admit card or hall ticket will face the problems in the examination center. The candidates have to keep the Daman Diu SSB Forest Guard Admit Card 2018 safe until the result announcement. The applicants can see the examination result on our website Sarkari Recruitment. The Daman Diu Staff Selection Board will select the candidates through the written exam/ computer based test for the given vacancies. The qualified applicants will be followed by the next session of the selection process. For more selection process visit the organization website. To appear in any exam applicants must need the admit card or hall ticket to get entrance into the examination hall. The Daman Diu SSB Forest Guard Admit Card 2018 contains the data belongs to participant and exam like name, number, and exam venue, etc. By using the admit card organization can easily sort out the fake candidates in the examination center. Aspirants have to bring the identity proof like Aadhar Card, photograph, etc. with the admit card or hall ticket to the examination hall for the security purpose. Contenders must attend the examination center before 20 minutes to the exam to avoid the rush and read the details on the admit card or hall ticket. The other details about the Daman Diu SSB Forest Guard, VPS, Gram Sevak and other posts exam like details on admit card, needed documents for the exam, steps to download the admit card has provided below. Open the official website of Daman Diu Staff Selection Board, www.daman.nic.in. Find for the Daman Diu SSB Forest Guard Admit Card download link on the homepage. Fill the required information like application number, date of birth, etc. Submit the given details, and it displayed on the screen. Download the Daman Diu SSB Forest Guard Admit Card. Save or take a hard copy of Daman Diu SSB Forest Guard Admit Card. Submit Daman Diu SSB Forest Guard Admit Card at the examination center along with identity card issued by State or Central Government. The above page represents the details of the Daman Diu SSB Forest Guard Admit Card 2018 and the exam. Hope it will use for the candidates who will apply for the Forest Guard/ Forest Sepoy, Village Panchayat Secretary, Gram Sevak, and other positions in Daman Diu Staff Selection Board. Check our website sarkarirecruitment.com for latest updates on Recruitment, syllabus, previous papers, admit card, result, etc. If contenders have any questions regarding this post then leave a comment on below comment box. Thank you.